Well here we are, that time of the year again. The days are getting shorter and the temperatures are dropping fast. Next week is Halloween; and in no time the holidays will be here. I am not a fan of the heat, so I won’t pretend that I’m sad to see the mercury falling. But I was loving all the fresh local produce that we’ve been enjoying over the past few months. It made me sad to think we reached the end of another growing season. In Minnesota we have very sharply defined seasons. This time of the year we are wrapping up the last harvests of such delicious eats as apples, pears, and sweet corn; definitely some of my favorites. But recently I’ve been exposed to some other wonderful autumn vegetables like sweet potatoes and squash. We never ate much of those when I was growing up, so I never really developed a taste for them. But as I get older and find myself straying from meat and leaning to a more flexitarian diet, I am becoming more adventurous in my food choices. Last week my husband returned from the grocery store with a squash. I asked him what he was going to do with it, having never experimented with cooking that myself. What we had for dinner that night was surprising and delicious! 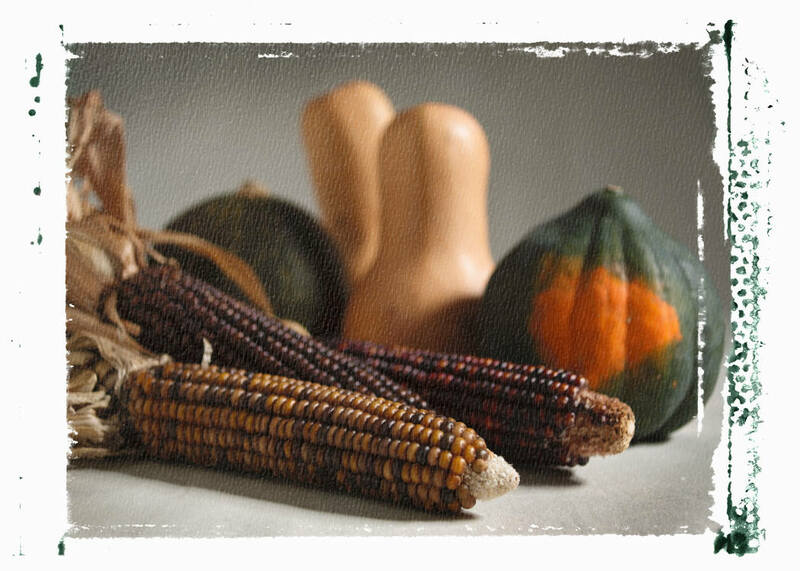 So in honor of autumn harvests, the last of the local farmers’ markets, and another growing season coming to a close, here is the recipe for the winter squash and chicken stew that we ate last week. If you don’t like squash, you’re going to love this! Heat one teaspoon oil in Dutch oven over medium-high heat. Season chicken with salt and pepper. Add to Dutch oven; sauté until brown on all sides, about eight minutes. Transfer to a plate. Heat remaining oil in same pot over medium-high heat. Add onion and garlic; sauté until golden, about five minutes. Add curry powder, cumin, and cinnamon; stir one minute. Return chicken to pot. Add squash, potatoes, broth and tomatoes. Cover and simmer fifteen minutes. Uncover and simmer until chicken and potatoes are cooked through and liquid is slightly reduced, about eight minutes. Season with salt and pepper. Sprinkle with cilantro.